On Wednesday, 29 October, the kick-off meeting for the LIFE-Inno.Pro.Wire project was held at the Officine Maccaferri SpA headquarters in Bologna. The project stems from a partnership between two major Italian multinationals: Maccaferri Industrial Group (through its companies Officine Maccaferri SpA and SAMP SpA) and RadiciGroup (through Radici Novacips SpA). The LIFE-Inno.Pro.Wire project sustainable challenge: to design an innovative process with a lower environmental impact for producing extruded steel wire to be used in metal net protection and containment structures. Enthusiasm is the word to describe the kick-off meeting for LIFE-Inno.Pro.Wire, an all-Italian pilot project – stemming from a partnership between two major Italian industrial multinationals, Maccaferri Industrial Group and RadiciGroup – which was awarded financial support by the European Commission’s LIFE+ programme, the European Union’s environment fund. 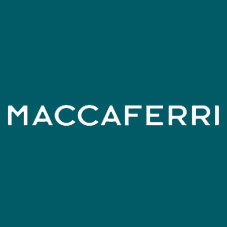 The moderator of the kick-off meeting, which was held at the historic Officine Maccaferri headquarters in Bologna, was Piero Tatafiore, corporate communication manager of the Maccaferri Industrial Group. Among the speakers at the meeting were Ruggero Targhetta, sole administrator of EURIS European Research Investments Services, and Stefania Biasuzzi, EURIS project manager (“Opportunities and Development in the European LIFE Programme”); Francesco Ferraiolo, corporate technical director of Officine Maccaferri (“Officine Maccaferri’s Role in the LIFE-Inno.Pro.Wire Project”); Claudio Colibri, corporate R&D manager of Officine Maccaferri (“The LIFE-Inno.Pro.Wire Project”); Cesare Clausi, Europe business manager of the RadiciGroup Plastics Business Area, and Erico Spini, marketing & application development director of the RadiciGroup Plastics Business Area (“RadiciGroup’s Role in the Project”); and Roberto Bazzani, sales and marketing VP of SAMP (“SAMP’s Role in the Project”). Objective of LIFE-Inno.Pro.Wire … To design an innovative process with lower environmental impact for producing extruded steel wire to be used in making metal net protection and containment structures. The sustainability aspect of the project is the use of polyamide 6 (PA6 engineering plastics) as a viable alternative to PVC for coating the steel wire. Tests will be conducted not only on conventional PA6 but also on PA6.10 engineering plastics produced using 64% biopolymer manufactured from sebacic acid. The traditional process for producing extruded steel wire, in which steel wire is plated with a very thick zinc coating layer and then PVC coated, is an energy hog. Hence, the idea put forth by Officine Maccaferri – world leader in the research, design and manufacture of advanced environmental civil engineering solutions – to develop a new and innovative production process in which the zinc coating process is minimised. Polyamide 6 plays a central role in this project, because, compared to PVC, it ensures better technical and environmental performance. The figures for the Life+ 2013 programme, the European Union’s environment fund. LIFE+ Nature and Biodiversity: 92 projects from the 342 proposals received were selected for co-funding. LIFE+ Environment Policy and Governance: 125 projects from the 961 proposals received were selected for co-funding. Of these, 35 were Italian. LIFE+ Information and Communication: 8 projects from the 165 proposals received were selected for co-funding. Total investment: EUR 589.3 million, including EU funds of about EUR 282.6 million (www.ec.europa.eu/life). Among the EU member states, Italy was one of the top beneficiaries of LIFE+ co-funding. Emilia Romagna and Lombardy were the Italian regions with the highest number of co-funded projects.